Are you career ready? 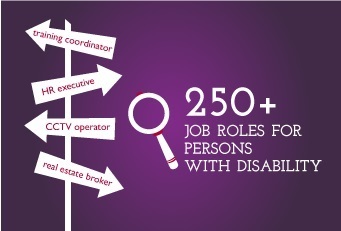 Did you know that there are 183 jobs that can be done by visually impaired in 20+ sectors? Here are 6 easy steps to find the right job for you. 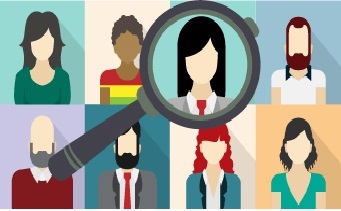 Step 1 - What do companies feel about hiring persons with disability? Do you know why companies hire persons with disabilities? Do you know what solutions can be used in the workplace? These videos will help you understand experience of different companies in giving jobs to persons with disabilities, jobs available in different sectors and company expectations. Did you know visually impaired are working as MIS executives, network engineers, HR consultants and more? Watch this 1 minute video to gain awareness on some jobs done by visually impaired. Listen to these audio files to understand more about jobs done by persons with vision impairment in different sectors. Listen to Mrs. AnuradhaMohit explaining jobs in civil services. Role model journeys will help you understand how to overcome challenges for economic independence and to lead a life with dignity. Prasad in SBI talks of his earlier experience. Extend and expand your skills set to gain dignity and inclusion. For a job, you need to gain certain skills and knowledge such as moving around independently, note taking skills, computer skills, company reality etc. Listen to Shanti Raghavan, Founder of EnAble India to understand skills and attitude required to become job ready. To gain awareness about various skills, click on Enhance your skills tutorials. Getting a job is your responsibility. You can approach companies directly and apply for jobs. Companies that hire persons with vision impairment Based on your education and interest, you can search for companies which have already given jobs to people with disabilities. You can search for jobs on the internet and apply directly. You can visit the following websites to search for jobs: CII Speciality Jobs, EnAble India, Monster and Naukri. Enable Academy will inform you about job fairs. Share your information here. Learn more about solutions you can use at the workplace. Watch this 5 minute video to know about solutions used by persons with disabi. . . Check out our resources section for more videos, publications, tools and knowledge base. Contribute to this community or leave your comments and questions. Your feedback matters to us. About opportunities for persons with disability. See how persons with disabilities excel at different types of jobs. See what you can do with us. Enable Academy is for You. See role models. Enhance new skills. Understand Jobs. See inspiring journeys of other persons with disability. Take courses to learn new skills. See what employers want and understand job roles. Lesson plans customised for you.Resume learning from where you left off. Lesson plan according to your progress. Started taking a course and couldn't finish? You can come back and start from where you left off. Get content according to your needs. Receive information about plans and campaigns designed for you. About the 600+ jobs in 27 sectors that persons with disability are doing. See industry leaders who are champions at inclusion. You can also become an inclusive employer. Tell us about yourself by clicking or pressing enter. Please select the type of disability. Select the option you want to start with.